Starhill Global REIT (SGX:P40U) owns retail and office properties in Singapore, Malaysia, Australia, China, and Japan. Among its properties, Singaporeans would be very familiar with two of Starhill’s retail malls – Ngee Ann City and Wisma Atria along Orchard Road. Starhill is one of my REIT investments when I purchased it in January this year when Singapore REIT prices took a pounding. It has since returned over 17.7% (including dividends). But, regardless of how positive returns are at the moment, you can be sure that I and the rest of us here at The Fifth Person are keeping a watchful eye on our investments and the prevailing economic climate. So with the recent news that Singapore’s mall vacancies are at their highest level in a decade, I attended Starhill Global REIT’s recent FY2016 AGM to find out more about how its management planned to navigate the increasingly tough retail conditions. At first glance, Starhill’s FY2016 results look like they took a tumble. Revenue, net property income (NPI), and distribution per unit (DPU) are all down 25-30%. However, the reason for the drop is because Starhill moved the end of its fiscal year to June. Which means FY2015 figures are calculated over 18 months while FY2016 figures are over 12 months. So if you compare FY2016 with the previous 12-month period, Starhill actually performed better: Gross revenue increased 11.4% to $219.7 million, NPI increased 6.9% to $170.3 million, and DPU increased to 1.4% to 5.18 cents. Starhill’s current yield (TTM) is 6.4%. Growth in revenue and NPI was mainly driven by Myer Centre Adelaide which Starhill acquired for A$288 million in 2015. Starhill’s Australia portfolio revenue and NPI grew 120% and 89% respectively. In comparison, Starhill’s Singapore portfolio remained flat with revenue and NPI inching up 1% and 0.6% respectively. Overall, Singapore still contributes the bulk of revenue at 62.6%. Australia and Malaysia contribute 19.5% and 14.6% respectively. Starhill Global REIT was one of the first few to venture into Australia in 2010. CEO Ho Sing explained that Australia’s retail scene is “quite strange”. Major retail brands like Uniqlo, Zara, and H&M only entered Australia in 2013-2014 with many major brands yet to enter the country. He believes that this along with changing consumer behavior presents an upside for the retail market in Australia. Starhill Global REIT divested its property in Japan, Roppongi Terzo, for ¥2.5 billion.The management also plans to divest the rest of its Japanese properties eventually. The CEO said that Tokyo Olympics in 2020 might drive valuations up and the management will look for divestment opportunities leading up to the Olympics. Portfolio valuation grew 0.7% to $3.14 billion. 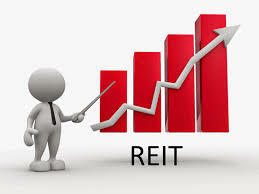 This was mainly due to revaluation gains in the REIT’s Singaporean and Australian properties which were offset by the Roppongi Terzo divestment in Japan and portfolio devaluations in China and Malaysia (due to forex loss). Overall occupancy rate is 95.1%. CEO Ho Sing also highlighted the fact that Starhill’s occupancy rates have remained largely resilient even during recessions. During the financial crisis of 2008, Starhill’s Singapore portfolio retail occupancy rate was 98.3%, while its office occupancy rate was 92.4%. Moving forward, there is no new retail or office supply in Singapore’s Orchard Road area from 2016 to 2018. Starhill Global REIT’s gearing is at 35% and average cost of debt is 3.09%. Weighted debt to maturity is 3.1 year with a large portion of debt (35% of total debt; $400 million) due to mature in FY2017/2018. 100% of Starhill’s debt is fixed/hedged via a combination of fixed rate debt, interest rate swaps, and interest rate caps. A unitholder asked why the REIT’s Malaysia revenue was falling. Chairman Tan Sri Dato (Dr) Francis Yeoh explained that it was due to the weakening ringgit. Lot 10 in Kuala Lumpur is on a master lease with built-in rental reversions for the next three years and that the mall is, in fact, doing well. Lot 10 is located at the prime Bintang Walk area which the Malaysia government has earmarked as a key shopping destination for locals and tourists. The government is also building an MRT station in Bintang Walk which will open right in front of Lot 10 and bring 100 million people in ridership annually. While currency deprecation is a problem, the chairman said “we can’t play God’s role” and control which way foreign exchange rates will go. However, the quality of the asset will endure and revenues will increase. Another unitholder asked about the management’s strategy for Starhill Gallery in Kuala Lumpur. The chairman replied that Starhill Gallery is a large luxury mall with over 300,000 square feet of retail space. However, there are not enough good luxury brands to fill the mall entirely, thus the management is looking to bring in restaurants and other brands like Apple to attract more blended shopper traffic. On the plus side, the management has convinced Louis Vuitton to build a global store in Starhill Gallery; the only other cities to have a Louis Vuitton global store are Paris, Shanghai, and Tokyo. Major property developments are also being built opposite Starhill Gallery including the headquarters of YTL Corporations (Starhill Global REIT’s sponsor). The chairman admitted that the property is “not (doing) as good as we want it to be” but it will get better. A unitholder questioned the management about Starhill’s falling revenues in China. The chairman explained that the Chinese market is extremely competitive. In Chengdu (where Starhill’s Renhe Spring Zongbei property is located), 100 million square feet of new malls were built after Starhill acquired its property. The chairman joked, “When the Chinese build, they build massively and (properties) spring up like mushrooms, and our prime property becomes ‘not-so-prime’ anymore.” He also said that another trend that is hurting sales is the clampdown on corruption and gift-buying. Businessmen in China used to buy gifts as a way of doing business in the past but it is looked upon as corruption now. The good news is that the management has managed to secure one of the largest furniture retailers in China, Markor International Home Furnishings, as an anchor tenant for Renhe Spring Zongbei which will generate more stable revenues. The chairman revealed that he doesn’t think the retail situation in Chengdu will improve and the REIT will look to divest its Chinese property at the right time. A unitholder asked where Starhill Global REIT was planning to acquire its next properties. The chairman replied that the REIT will focus on Singapore, Malaysia, and Australia as these are the three markets they know very well. Starhill was ahead in Australia and the management predicted correctly that retail closing hours would extend later (from 5 p.m. to 7 p.m.) due to the growing Asian population and their shopping habits. For Singapore and Kuala Lumpur, the high-speed rail will be good for Starhill’s properties in both cities. A unitholder asked what the management planned to do to attract shoppers to its malls. CEO Ho Sing replied that the management is working with relevant agencies like the Orchard Road Business Association to promote events in Orchard Road. He gave examples like the Japan Matsuri Summer Festival where Orchard Road was closed to traffic, the annual Christmas light-up, and the F1 race. The CEO also mentioned the Great Singapore Sale though he said the concept has gotten tired over the years. The chairman then reassured unitholders that the management is aware of the changing spending patterns of customers and online shopping, and doing all it can to attract shoppers. The retail experience has to be crafted better now and be compelling enough to attract people to physically visit a mall, and it is in the interests of the REIT to enhance the sales of its retailers so they can pay higher rents. In his presentation, the CEO highlighted that Starhill Global REIT doesn’t own the space occupied by Isetan in Wisma Atria; it belongs to Isetan. The space was closed for renovations for a year which affected shopper traffic in the mall. It has since progressively opened and Isetan also launched Japan Food Town which has improved shopper traffic. During the Q&A, the chairman revealed that he was trying to persuade the Isetan president to launch an All-Japan concept in Wisma Atria that received positive response from shoppers when it was launched in Lot 10, Kuala Lumpur. He mentioned things like Honda robots and ikebana classes that attracted shoppers in Malaysia and he brought this back to his point about creating unique and compelling retail experiences for shoppers. If this concept was executed in Singapore, it would complement the mall and be very good for Wisma Atria without the REIT having to spend any money. A unitholder asked if the management was considering an investment in Jurong due to the Singapore-Kuala Lumpur high-speed rail (HSR). The chairman joked that the HSR was his idea but he doesn’t know if the government will pay him a royalty for it! He then digressed and said that Kuala Lumpur, long-term, is a good market where property prices are still attractive. If Malaysia can get its politics rights, Kuala Lumpur would be a compelling city to invest in. He said condominium prices in Kuala Lumpur are, prime-to-prime, 600% cheaper compared to Singapore. But the level of architects is the same and the building materials come from Malaysia anyway! With the HSR, the chairman views that KL prices will converge toward Singapore’s in time like how prices in London and Paris converged with the London-Paris line. The unitholder keenly asked the chairman if he would invest in Kuala Lumpur then. The chairman said yes but currency depreciation is a concern and the management has to take a long-term view of whether a property will be yield-accretive over 5-10 years after taking that into account. Finally, a unitholder then asked the chairman what his views were on the Singapore property market moving forward. The chairman replied that he has been through many property cycles as a property developer himself but that this particular cycle was ‘broken’. The Singapore government had to control property speculation and inflation here like in China. The worry for the government at the time was that average Singaporeans were complaining that they couldn’t afford a home. Due to the printing of money by foreign governments, foreign buyers with an influx of cash speculated on private properties driving their prices up — which, in turn, pulled HDB prices up. The government had to introduce cooling measures to cut the speculation because, even though they welcome foreign investment, they didn’t want Singaporeans to suffer from sky-high property prices. However, the chairman thinks that the government has overdone the cooling measures and the market is almost dead for foreign buyers. He shared that a lot of property developers are in trouble and face heavy penalties of $30-40 million if they can’t sell their developments on time. But they have no market to sell to. He views that the government should readjust its policies to encourage more economic activity and he is optimistic that the government is watchful and that they won’t fall asleep on this. The chairman revealed that the high-end property market is the worse he has ever seen in the last few years and feels that it can’t get any worse. If it does, there will be collateral problems with banks and loans which he believes the government will take into account and not allow to happen. Lastly, he advised everyone to be patient and that the change won’t be immediate, but it is his personal view that it will become better than what it is today.